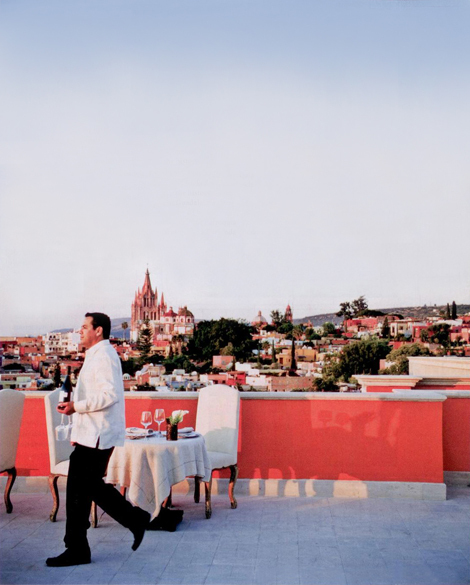 one of my former design professors has a summer home in san miguel de allende. she raves about that city, i think i'll have to go next summer, i'll eat here for you! I love the miradors (rooftop patios) in San Miguel. I will be there soon. My family has had a house there for over 36 years. I thought you would enjoy seeing my latest book on my photos of San Miguel and seeing my blog. My next tour to San Miguel is June 7 - 13. So beautiful - warms my soul just looking at it! How gorgeous is this??? Great raspberry colour and oh my, what a backdrop. Happy, happy picture.